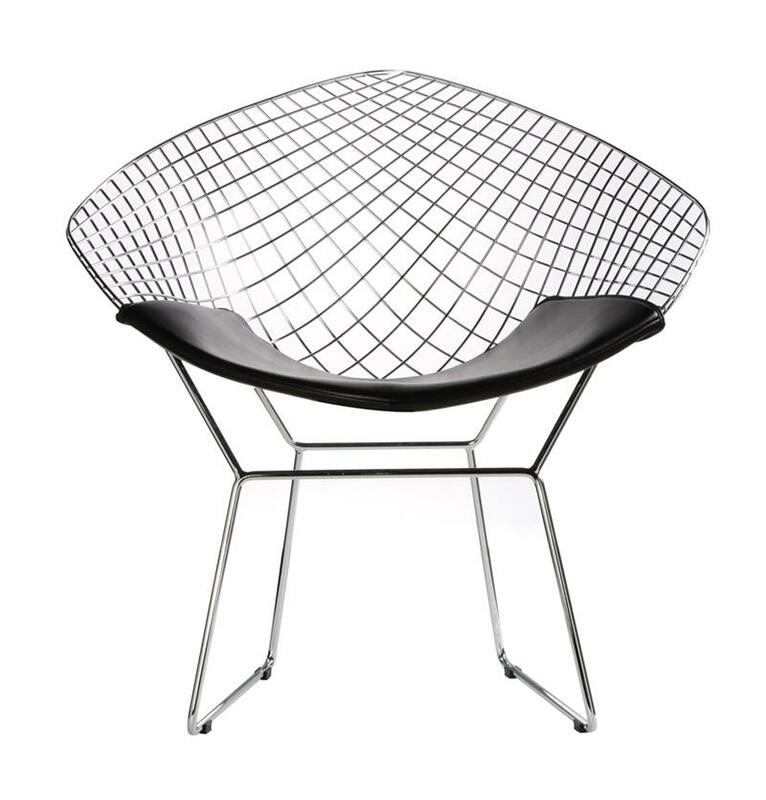 A modern design classic, breathing life into any environment, sculptor Harry Bertoia's Diamond chair was and remains a mid-century design innovation. 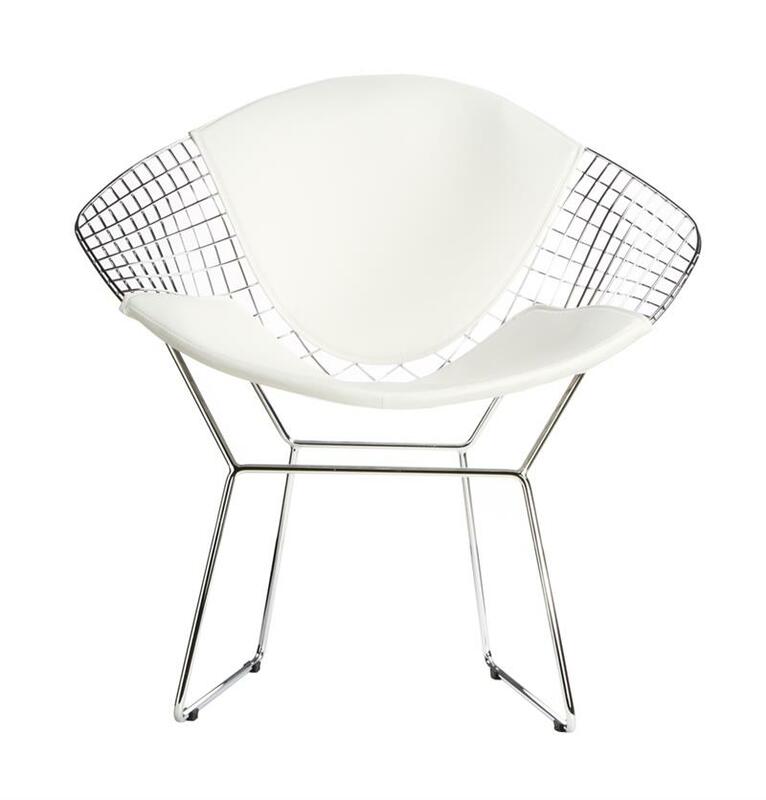 The Diamond Chair features a chromed steel frame and includes easy to clean a seat pad. 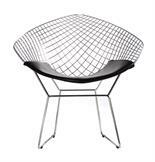 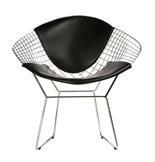 Our Bertoia Wire Diamond Chair is a high quality reproduction of the original design by Harry Bertoia. It is a study of space, form, and function. 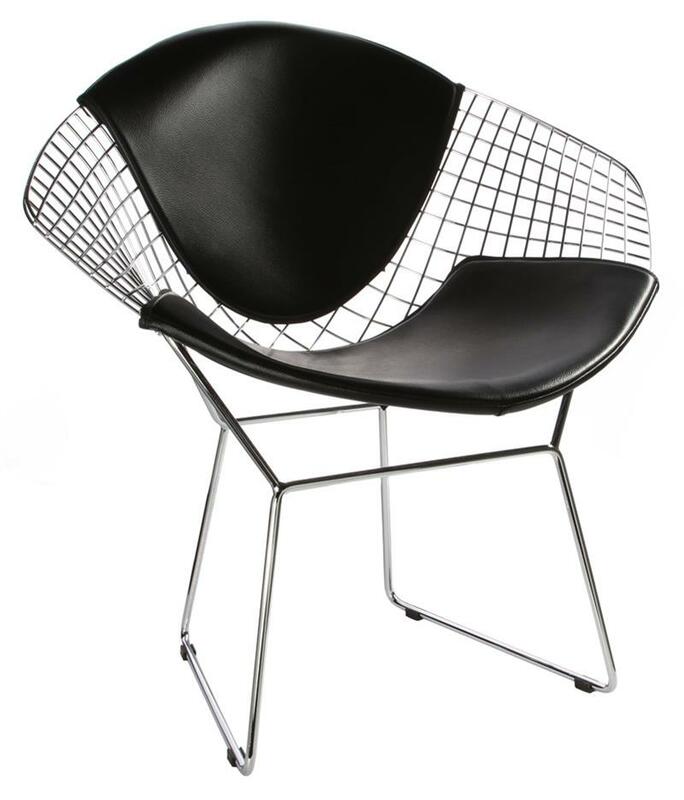 The Side Chair is exceptionally strong and surprisingly comfortable with its unique bent and welded steel rod construction. 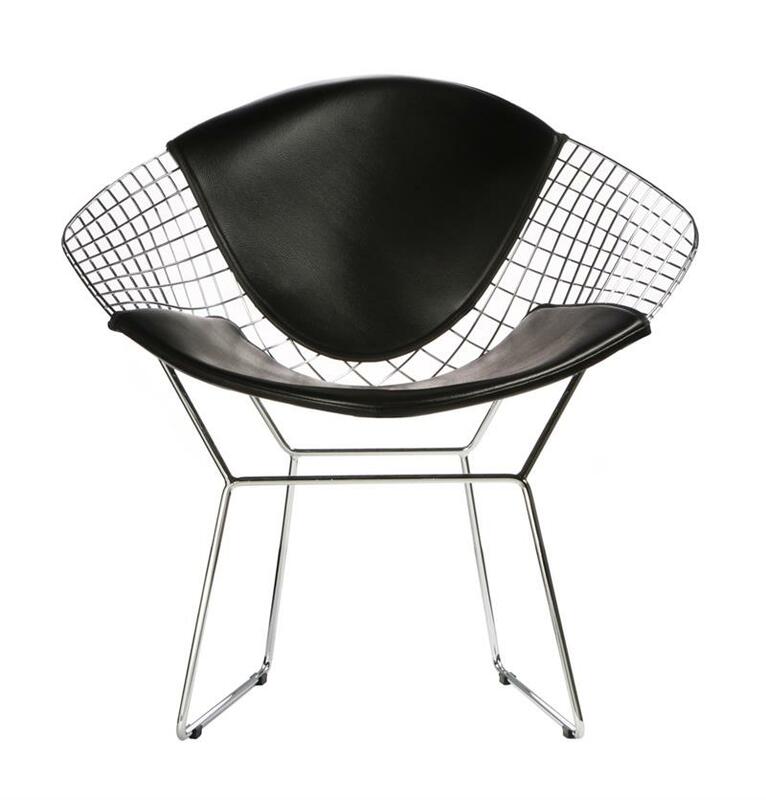 The Diamond wire chair offers modern styling for your home or office. 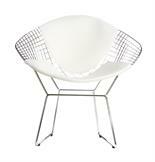 33" W x 23" D x 31" H: Seat height 16"